Landmark is presented by the Albany International Airport and the Thomas Cole National Historic Site. The exhibition features 10 contemporary visual artists and seven writers whose works explore our relationship to the natural world and share common ground with Thomas Cole’s greatest written work, Essay on American Scenery, 1836, which is among the most influential proto-environmentalist essays in America. Click here to read works by essayists. 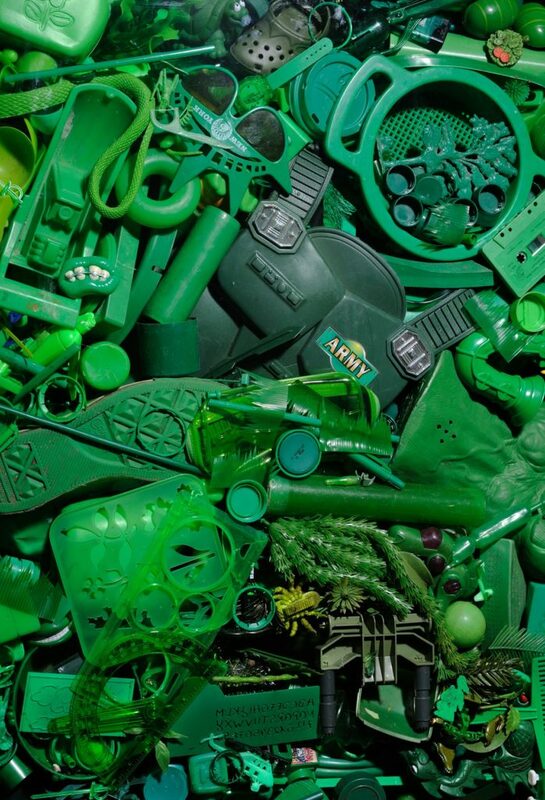 Valerie Hammond, Forest, 2018, archival inkjet print on Somerset Velvet paper, 96×279″, Courtesy the artist. 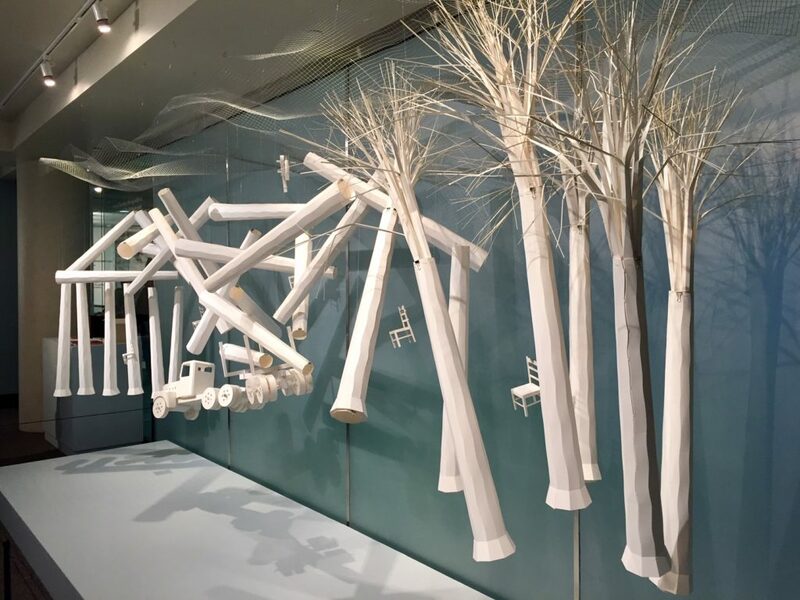 Installation view: Ken Ragsdale, Course of Empire, 2018, paper, 8 x 16 x 4′. Courtesy the Albany International Airport Art and Culture Program. 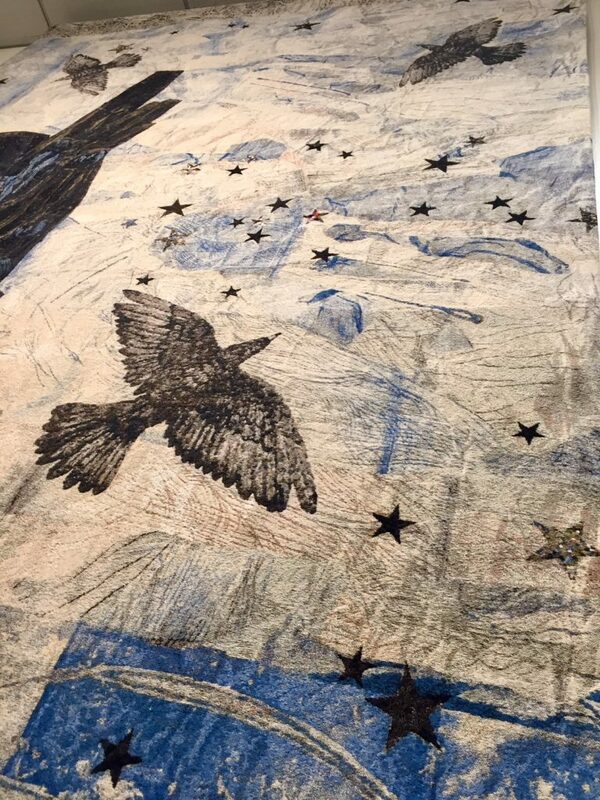 Installation view: Kiki Smith, Harbor (detail), 2015, jacquard tapestry (edition of 10), 116 x 76″. Courtesy the Albany International Airport Art and Culture Program. Portia Munson, Sarcophogus (detail), 2018, archival inkjet print on photo rag paper, 63 x 44. Courtesy the artists and PPOW Gallery, New York, NY. 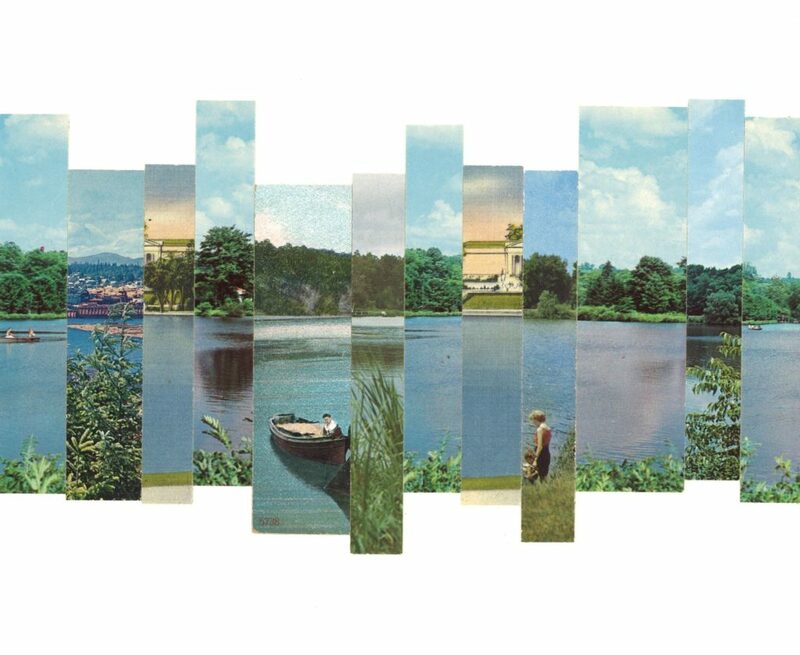 Anne Roecklein, Fourth River (detail), 2012, collage on paper, 11 x 98.” Courtesy the artist. Darren Waterston, Inversion Landscape #1, oil on wood panel, 36 x 72.” Courtesy DC Moore Gallery, New York, NY. 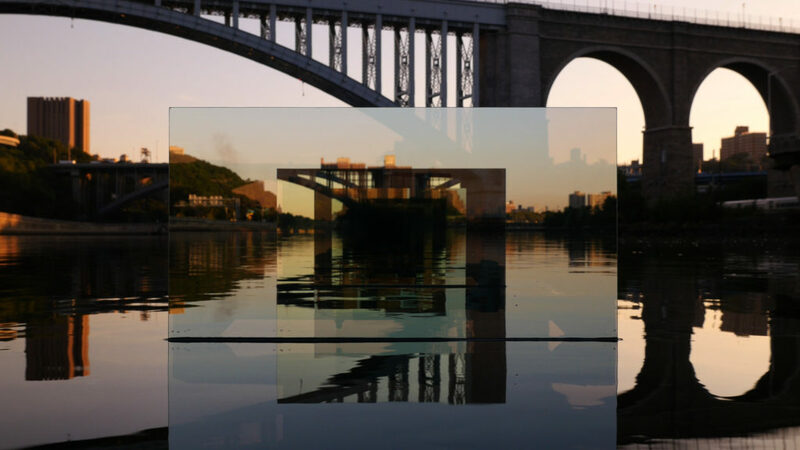 William Lamson, video still from Untitled (Infinity Camera), 2017, 15:10 minute 4K video. Courtesy the artist. 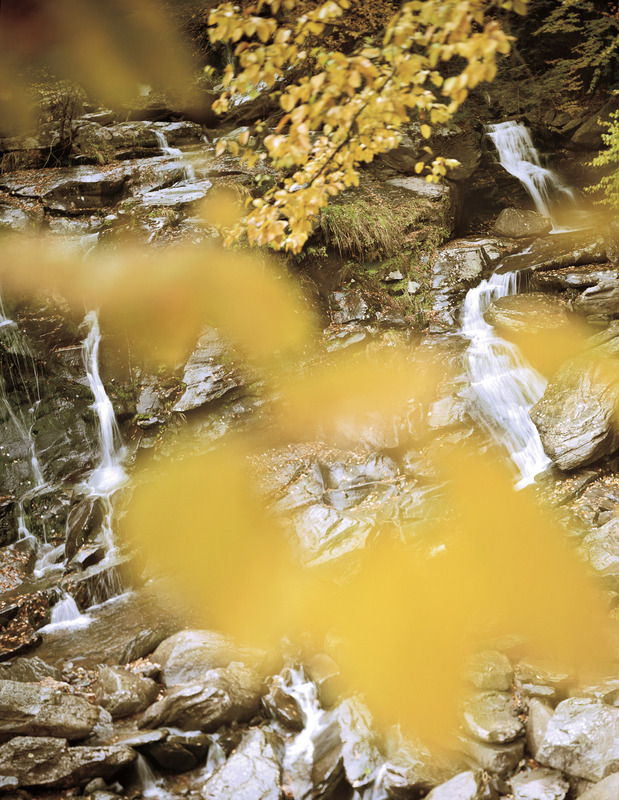 Susan Wides, Bastion Falls (October 23, 2004), 2004, chromogenic print, 50 x 40.” Courtesy the artist and Kim Foster Gallery, New York, NY. 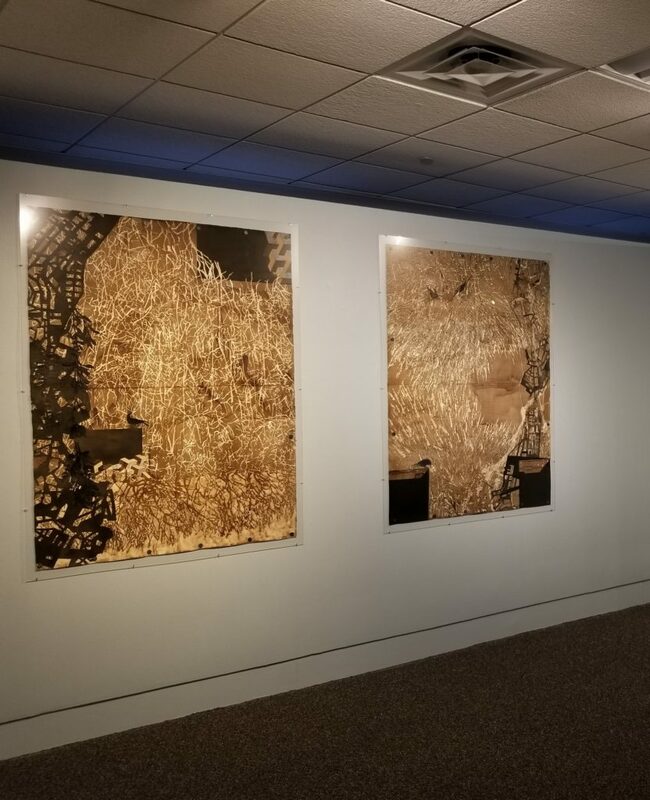 Installation view: Ellen Driscoll, (left) Untitled #15, 2015, ink and collage on paper, 60 x 44.5.” (Right) Untitled #13, 2017, ink and collage on paper, 60 x 44.5.” Courtesy the artist.